In recent months, it has been observed that there is a rising incidence in newspaper thefts in different parts of the country. Most attribute these incidences to the popularity of extreme couponing. Much of the newspapers that are being stolen are the Sunday editions, where there are a larger number of coupons that can be found in the inserts, as compared to weekday issues of newspapers. In Moultrie, Georgia, the increase in the incidences of newspaper theft has dramatically increased. According to Michaelyn Blackwell, who is a newspaper carrier, extreme couponers can get very obsessive with their coupons. Blackwell added that extreme couponing shows are the ones to blame for this attitude and for the stolen newspaper incidents. Blackwell recalls that there have even been incidents where the entire newspaper vending machine has been stolen, along with the newspapers in it. To prevent the incident from ever happening again, Blackwell now chains the machines to each other in order to make them harder to steal. Just recently, a woman in Arkansas who had previously been taking unsold newspapers in boxes was arrested for newspaper theft. 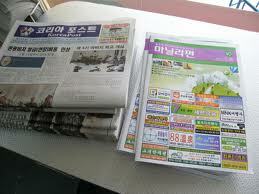 According to local authorities, she had stolen a total of 185 newspapers, which had a total worth of $231.25. She was taking the newspapers in order to cut coupons from them. According to her, she was not aware that what she was doing was illegal and was only trying to save money by taking unsold newspapers. Instead of being able to save money, she ended up paying a thousand dollars in fines. Moreover, she ended up being charged with misdemeanor theft, as well.